One of the key requirements of SGMA is better collection and sharing of groundwater data. Current efforts are inconsistent and sometimes nonexistent. This has led to overdrafted aquifers, land subsidence and water quality problems in wells throughout the state. A report released this month by researchers at Stanford’s Water in the West program and the Gould Center for Conflict Resolution at the Stanford Law School surveyed those involved in groundwater management to better understand what kind of data were being collected and what data-related challenges existed related to the implementation of SGMA. “A lot of the work we’ve done in the past has focused on what the legal or regulatory requirements have been around water and groundwater, and we didn’t have a lot of information about what was actually happening in locations in practice,” said Tara Moran, sustainable groundwater program lead at Water in the West, a joint program of the Bill Lane Center for the American West and theStanford Woods Institute for the Environment. Water Deeply spoke with Moran about what the researchers learned from their survey and what the biggest data challenges are when it comes to groundwater in California. Water Deeply: Since multiple agencies and stakeholders may be involved in groundwater issues, who did you send surveys to? Tara Moran: We distributed it through the Department of Water Resources. 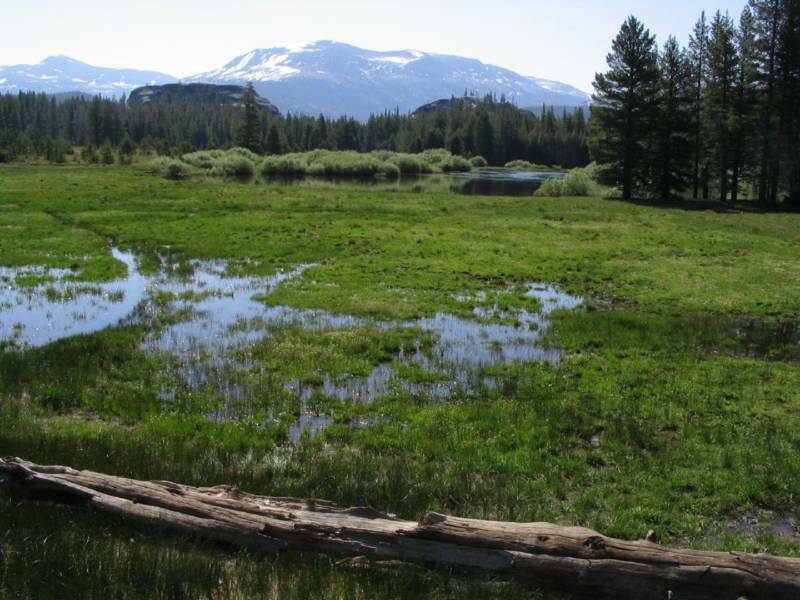 They have a Sustainable Groundwater Management Program and we sent it through their listserv, as well as the Groundwater Resources Association of California. The idea was that we would reach local agencies that were already thinking about SGMA, involved in SGMA or likely to be involved, as well as groundwater consultants. Water Deeply: What did you find out about the kind of data being collected now? Moran: There’s a lot of data being collected. Groundwater level data, water quality data, information related to calculations for sustainable yields, but it drops off from there. There is information being collected about groundwater-dependent ecosystems and land subsidence, but that is not collected as consistently. Water Deeply: Your research also found that more than half of the respondents reported that even though they were collecting data on groundwater levels, it wasn’t adequate for decision-making purposes. What do you attribute that to? Moran: That was a very big finding. I think there are numerous reasons. Firstly, they may just be collecting data that isn’t high enough quality. Maybe they just aren’t collecting it at a high enough spatial or temporal frequency. Or one of the things you hear a lot about in California is fragmented jurisdictions. Essentially, you can have 30 or 40 different agencies all working in the same groundwater basin, so maybe you are collecting really good data within your basin, but you still don’t feel like you can make decisions about the basin because you’re collecting data on a small scale. One of the recommendations we make in the report is that agencies should use the authority that they are given under SGMA to access private production wells to monitor. It comes back to this idea where an agency might cover a large area and they may have a bunch of their own monitoring wells, but there may be huge portions of their jurisdictional area where there is only private land and they can’t monitor production wells on there. Water Deeply: What’s the gap between where most agencies are now in the kinds of data they collect and what’s going to be required of them with SGMA? Moran: It depends. Some basins are in really good shape, a lot are somewhat in the middle where they are going to struggle mostly with coordinating data that are already there and coming up with integrated conceptual models across their basins. There are some basins that are really lacking a lot of information. A lot of the data that are called out under SGMA are either missing right now or highly uncertain. For a lot of basins it will be a long-term process. Water Deeply: What was your most significant finding? Moran: One of the really big things that came out of the survey for us was that people really felt that they needed more standardization of methods and a common data-sharing platform. They really felt that this exchange of information was happening and they weren’t able to do it and as a result they weren’t able to manage. Water Deeply: One of the goals of SGMA is shared data, right? Moran: Yes, it’s a requirement at the basin scale. That’s a huge step forward. But I think we need to take the next step forward and have it happen across the state. The way the legislation and the regulations have been written means there is going to be a huge step forward in the amount of data being collected, the characterization of basins across the state, and access to the data that’s being collected and actually reported. But there will still be a lot of data that aren’t necessarily reported to the state that we won’t have access to. Water Deeply: Was there anything in your findings that concerned you? Moran: One concern was the lack of dedicated monitoring wells. You would typically have a production well, which could be screened across multiple aquifers and so if you’re monitoring exclusively in production wells, you may not be able to get groundwater levels in each different aquifer system. Also, when you take groundwater levels, you’re supposed to do it under static conditions, which means you have to have turned off the production well and have it come to some equilibrium again and it’s not always clear how long that will take. Water Deeply: But a dedicated monitoring well would solve both those problems? Moran: Yes, with a dedicated monitoring well, if you had three aquifers in your system, you’d have three separate wells that all were screened in just one aquifer for water level or water quality – so you can measure the health of each of those aquifers instead of the combined. And because you’re not pumping from it, it’s more likely to be under static conditions. Water Deeply: And your surveys found very few areas have these? Moran: There is a distinct lack of those – they are expensive to drill and to get the easements required. But in the long term we need to see more of those to make sure the data we’re getting are of high enough quality. Water Deeply: Your research also found that there was very little monitoring of subsidence and groundwater-surface water interactions, both of which seem very important. Moran: Subsidence is gaining quite a bit of concern more recently. But it’s expensive data to collect often. Unless you’re seeing direct impacts, it’s hard to raise concern about it. The state is committed to providing large-scale subsidence data for these local agencies. Then local agencies can make a decision about how they monitor it moving forward. Groundwater-surface water interaction is the same thing – it’s a hugely important data set, but agencies don’t have the technical or financial means to collect data. Water Deeply: What’s the importance of monitoring surface and groundwater interaction? Is it mostly because groundwater wells can often pull surface water, so you can unknowingly affect surface water levels? Moran: Within SGMA there is an undesirable result around impacts to surface water users, so that’s a motivator. The other one is groundwater-dependent ecosystems. If you’re pulling too much water from a stream you can cause it to dry up earlier or you could cause it to dry up entirely, which could result in a loss of ecosystems supported by that river or wetland or other groundwater-dependent ecosystems if you start to draw down groundwater too close to a stream. Water Deeply: What’s next for your research on this? Moran: We will continue to do the survey. It would be nice to track this over time and see what’s changing, where the problem spots continue to be, where people see opportunities to improve. This was really focused on data, but it would be nice to add a governance piece, as well. I work with a post-doc who does a lot on water governance and the role of collaboration, so that would be a nice piece to tie in.